The Russians start to express their protests against the recent decision of the Russian government to raise the retirement age. People start taking to the streets to say their words against the reform. The first wave of protest rallies swept through Novosibirsk, Ryazan and Ukhta, fontanka.ru reports. Rallies are expected to take place in a few Siberian citifies on June 24 and July 1, even though the rules for holding public meetings and rallies in Russia have been tightened for the time of the World Cup. Thus, all types of meetings not related to sports events should be held only in places indicated by local authorities in prior agreement with the Federal Security Service. On June 14, the Russian government approved the final version of the draft law on the gradual increase of the retirement age starting from 2019. Thus, the retirement age for men will be 65 years by 2028, and 63 years for women by 2034. The Russians immediately responded to the move by filing a petition on the Change.org website with a requirement to cancel the retirement age reform. The petition has already collected more than 1.3 million signatures. Vadim Gorshenin, the chairman of the board of directors of Pravda.Ru, believes that all the talking about the fairness of the pension reform is ridiculous, because the new law is all about the exploitation of citizens by the state. 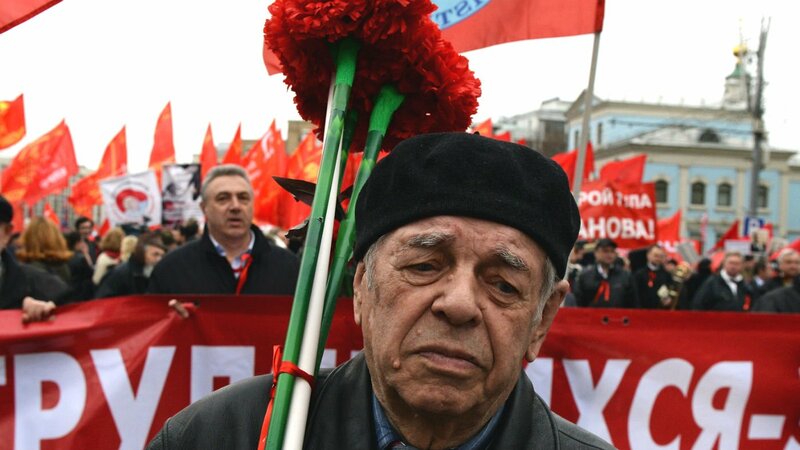 In a nutshell, Mr. Gorshenin believes, the state wants to make people work until they die. "Just look at the pension allowance that the state gives Russian citizens. Let's take a look at the pension starting from 2018. The average monthly pension of 14,100 rubles ($233) gives 169,200 rubles ($2,800). Thus, it will take a citizen, who budgets himself to the minimum monthly wage, seven years just to save this amount in accordance with deductions to the Pension Fund. If the state offers the average Russian man the amount of less than 169,200 rubles for all of his lifetime work, given the average life expectancy of 65.9 years, then a question arises of who the average Russian man needs to work for all of his life," Vadim Gorshenin notes. Interestingly, rumour has it that Chechnya is not going to raise the retirement age because of many years of war that the republic had experienced in the past. According to unconfirmed reports, Chechen President Ramzan Kadyrov said that the people of Chechnya had been suffering for ten years, and every Chechen in the republic had either lost their breadwinner, become disabled or is a parent of many children. In the meantime, the Russian authorities are closely watching how the general public is going to react to the most recent unpopular move of the government.